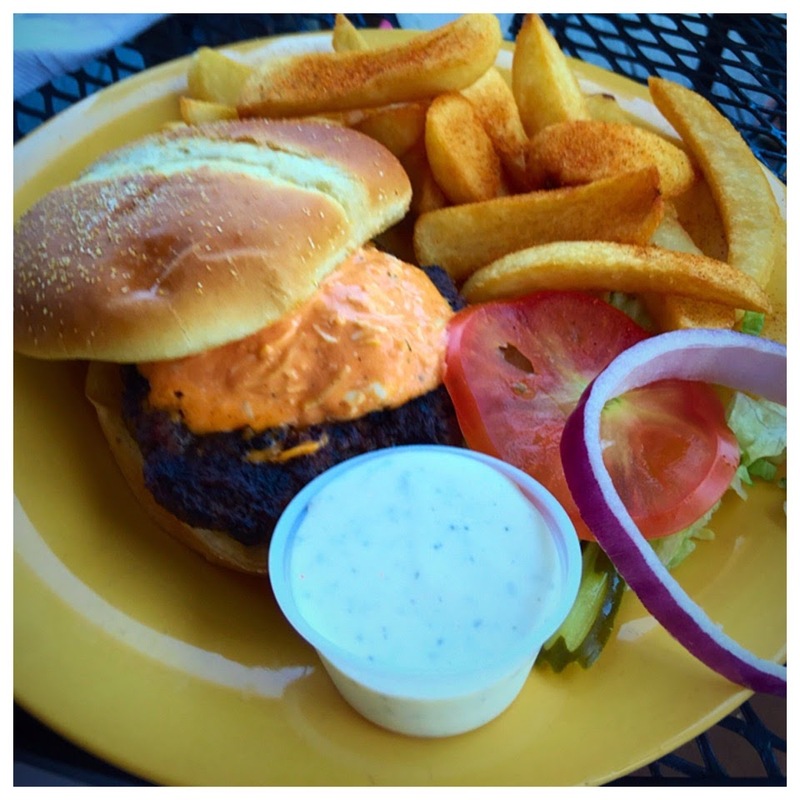 Last year, Al.com set out to find the best cheeseburger in the state. A pretty daunting task, much like trying to find the best barbecue in the state...there is just so much good to choose from. With suggestions from readers, they narrowed the search down to the top fifteen. 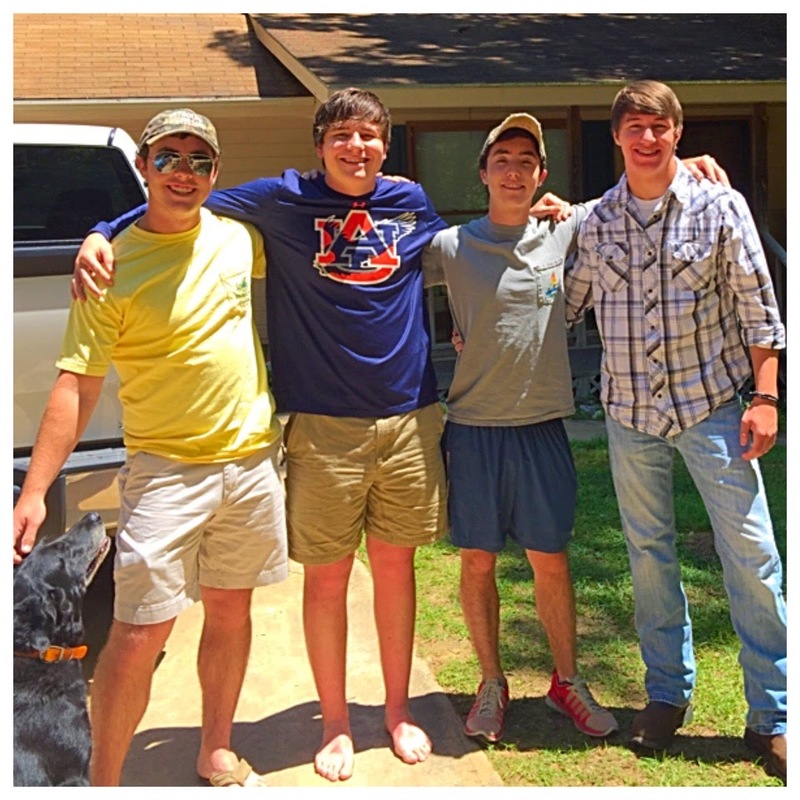 One of those fifteen was in Auburn at Niffer's Place. With twenty burgers on the menu, choosing one had to be hard, but choose they did. 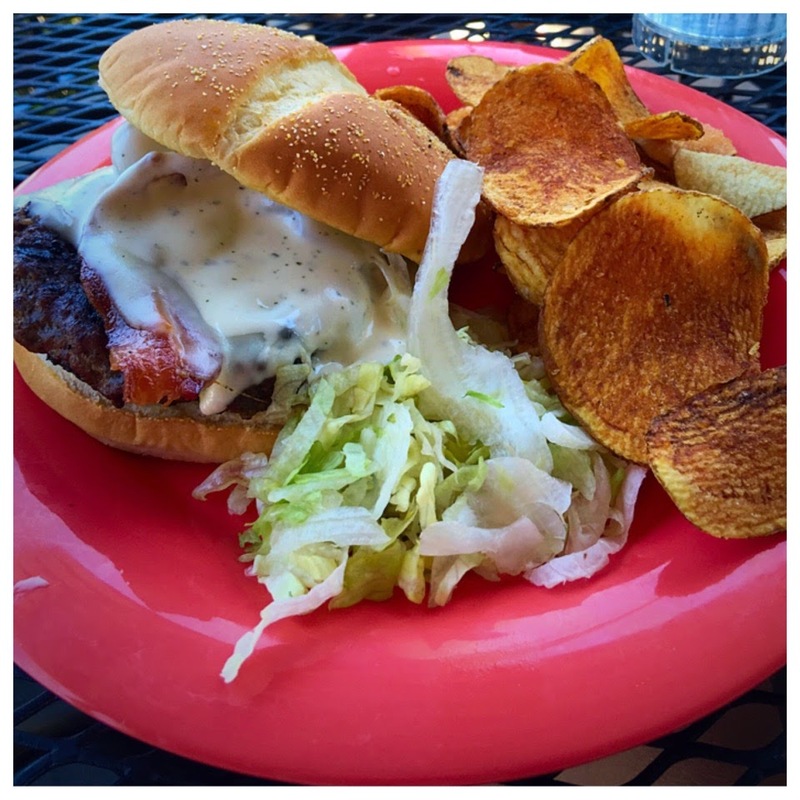 The bacon cheddar burger at Niffer's is one of the top fifteen burgers in the state according to Al.com. Rob, the boys' buddy, Heath, and I took a trip to Auburn recently to begin moving my older son, JD, back home for the summer. While we were there, we decided to stop by Niffer's Place to check out the burger situation on our own. 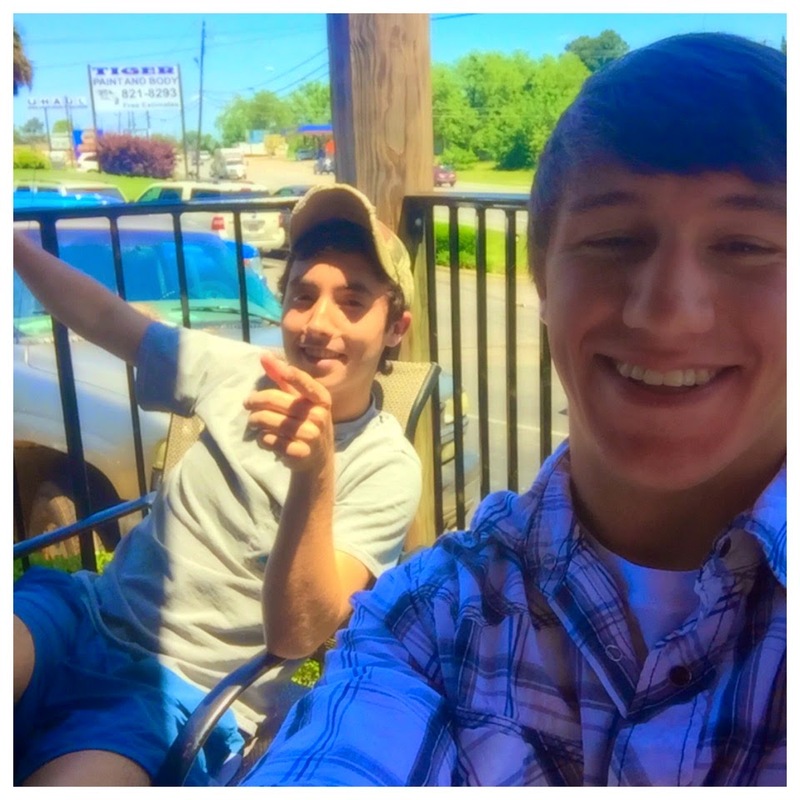 The restaurant is conveniently located on Opelika Road about five minutes from Auburn University, so it was a quick trip from JD's residence hall. We picked up JD's friend, Jordan on the way and headed toward Niffer's Place. The day was stunningly beautiful, so we asked for an outside table on Niffer's large deck. 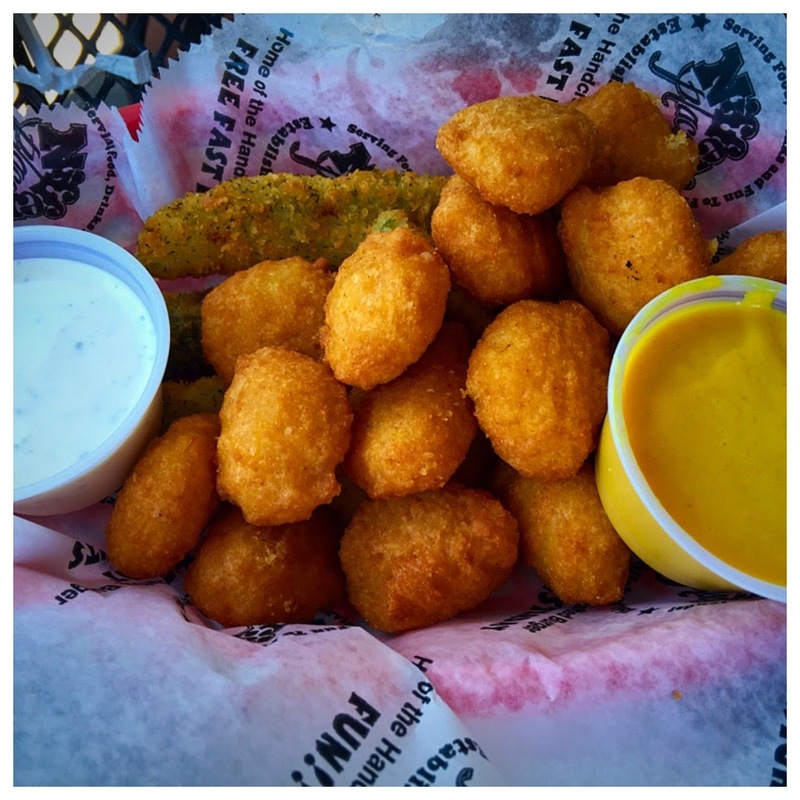 After our drink orders were taken, the kids decided to share an appetizer of corn nuggets and fried pickles, with ranch dressing and honey mustard for dipping. I didn't sample any, but based on how quickly they disappeared and the nods of approval, those fried goodies must have been delicious. Then, we were on to the entrees. All the kids ordered burgers, but only one of them, Heath, ordered the bacon cheddar burger and he ordered it plain, devoid of anything but meat and cheese, no toppings, no condiments. He's a simple guy! He did get thick cut steak fries as an accompaniment. Two, Rob and Jordan, ordered the Rancher, which had bacon, mozzarella and ranch dressing. Rob got some of the thick fries with his, but Jordan got homemade potato chips. JD settled on the Buffalo Cheese with gooey cheese and buffalo sauce. Then he ordered some ranch dressing on the side, so his burger was well covered in dressing. He also chose fries. Every one of them liked their burgers. They were all thick and juicy and the toppings were fresh. The only problem I saw was the slice of tomato on JD's Buffalo Cheese. It was the end piece of the tomato with a large, white core in the center. It really should not have been put on a plate. That leaves me. Can you guess what I had? Here's a hint: it was not a burger and I have ordered many versions of them throughout the life of this blog. Three guesses...Yep! I got fish tacos! I hate to be so predictable, but I couldn't resist. The menu described them this way: Shredded tilapia with our house-made pico de gallo, lettuce and cheddar jack cheese nestled inside warm tortillas. Served with salsa ranch on the side. The pico was different from any I have had before. It had corn and black beans mixed in with the usual tomatoes, peppers and onions. I asked for some sliced avocados and the server was happy to oblige. I actually liked the shredded fish. It made eating the tacos easy. I wish I had asked for the cheese to be left off. Weird, I know, but I am not a big fan of cheese on my tacos. 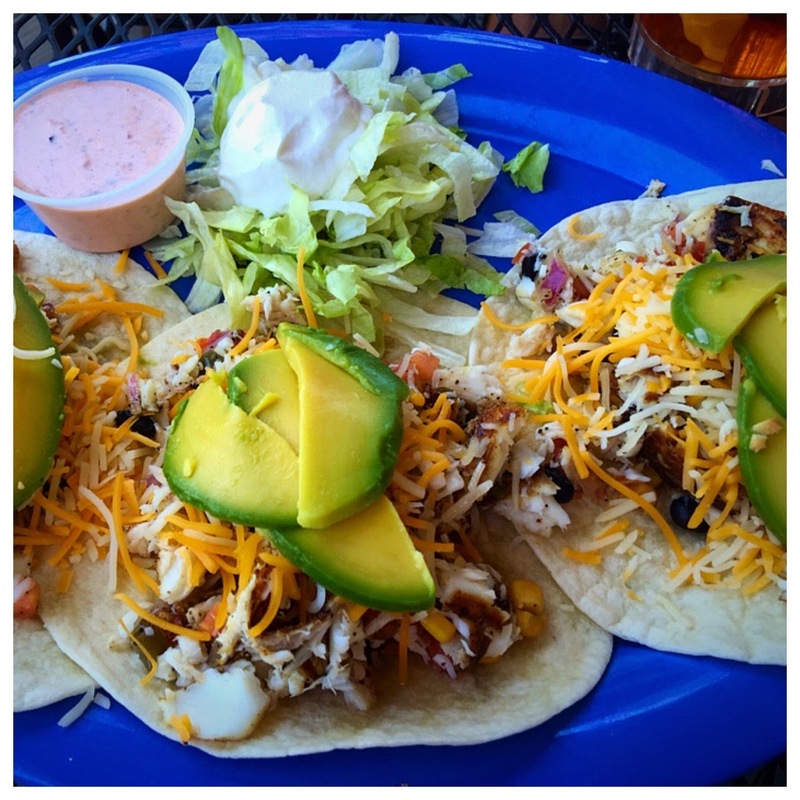 Maybe it is because I am always getting seafood tacos and I really don't care for cheese and fish together. In spite of the cheese, I did enjoy the tacos. The fish was very well cooked and I liked the pico and avocado. We enjoyed our visit to Niffer's Place. It is a great place for a college crowd. The prices are reasonable, the food is well prepared and the staff is attentive. We also enjoyed our visit to the Loveliest Village. After packing my car full of JD's stuff, we made time to run by and see Rob and JD's cousin, Sam. We don't get to see his smiling face often enough! Three Friends and a Fork and these Plainsmen give Niffer's 3 hearty Yums UP! I love Niffers, as far as burgers go they do have a good one. 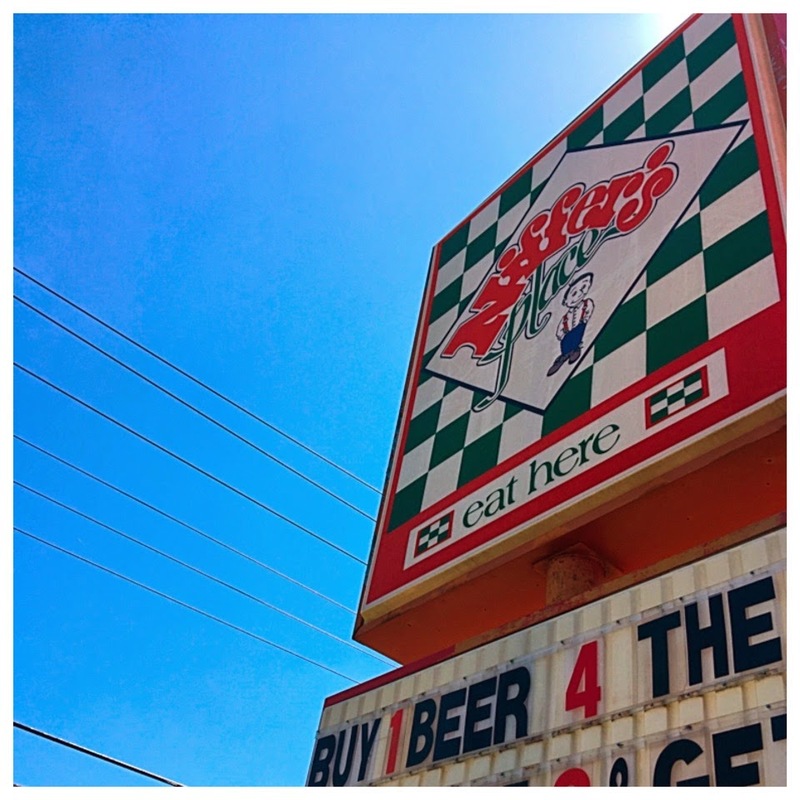 When I was in college at Auburn I frequently headed to Niffers on Thursday night for $5.99 burger night. 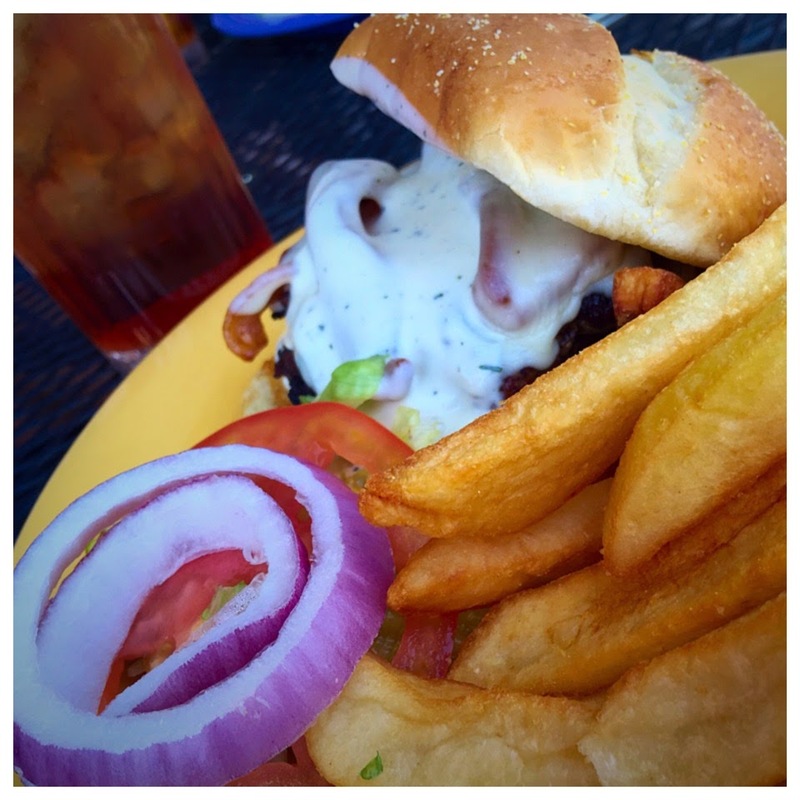 $5.99 burger night is a great deal for college students!